I was born and raised in New England, and I will be buried there as well. In Boston, being an avid sports fan just goes with the territory. Over the past ten years, I’ve seen seven championships and I’m incredibly proud. 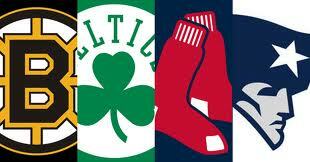 Boston is the first city in history to have all its major sports teams win a championship in the same decade. Following our teams is a way of life. A life I am happy with. Say what you like, hate all you want, people can not bring my mood down- not today. New England pride is making me sit up straighter, walk taller, and smile brighter. To my Boston Bruins, thank you. Mere words can not express how I feel right now. I know that my fellow New Englanders understand exactly how I feel right now. Who cares if I’m in North Carolina? People can have Florida, New York, California and even Texas. I am happy where I am right now. I am a proud northerner who happens to live in the south. You can take the girl out of the north, but you can’t take the north out of the girl! Hailing from New England means living the Boston sports and breathing the Boston sports day after day. My heritage reminds me of who I am, of where I’m from, and how I was raised. It also tells me that I better not forget. So, bring the parade to a happily drunk and crying induced fan base. We are standing side by side with our neighbors, friends and coworkers. We are boasting, and bragging to all who will listen and to those who aren’t. We are walking with a new strut. We are smiling from ear to ear a smile that cannot be pulled from our face, not even with surgery. Our hearts are singing, our bodies are dancing, and our eyes are moist. We are proud! We are strong! We are New Englanders!